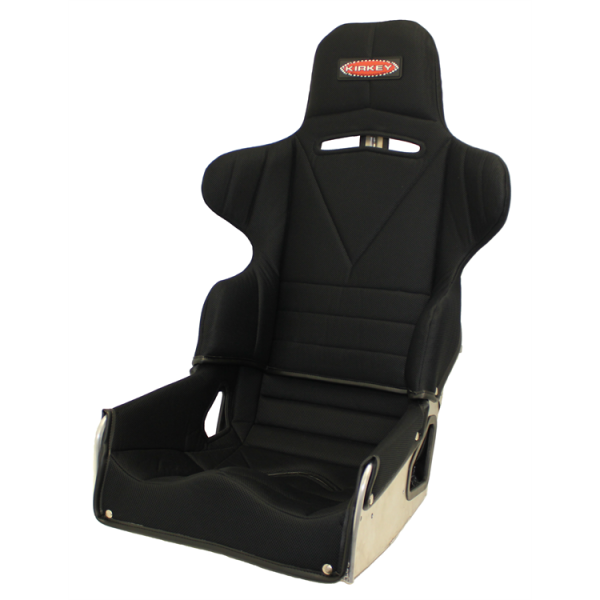 Kirkey's new Intermediate Road Race Layback seat is very comfortable and a great choice for your Exocet. The new Kirkey 65-Series replaces the popular 47-series seat for 2018 and beyond while adding layback adjustability at a lower price point. Designed for road race cars, kit cars, club racing. Bottom design allows multiple layback angles from 18 to 23 degrees. Available in four (4) sizes 15″, 16″, 17″, 18-1/2″. 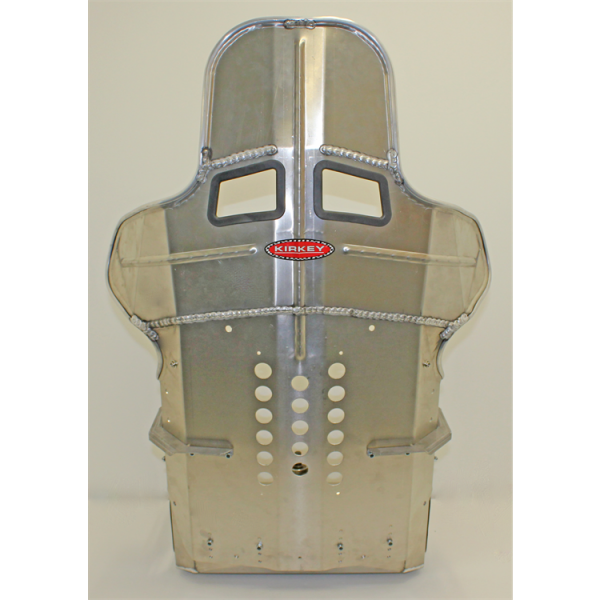 Constructed from TIG AND MIG welded .100″ thick 5052 grade aluminum. Vertically adjustable 2-1/2″ for proper fit. Extra MIG welding on inside for added strength. A true road race design with built in shoulder support. 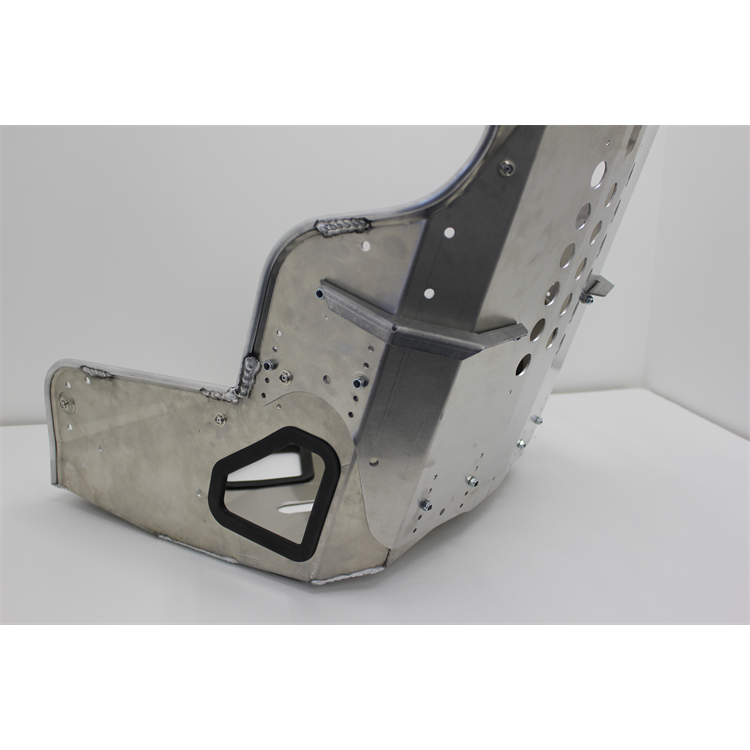 Reinforced headrest with interior double plate. Aluminum extrusion around perimeter for extra strength and safety. Progressive rib bead adds extra strength. Extra support at rib height provides support for high G force cornering but is designed to not interfere with shifting. Molded rubber inserts for lap belt, double shoulder belt and sub belt openings. Seat has additional openings for 6 point belts. Accommodates both 5 and 6 point seat belt systems. Kit comes with extra padded black airknit cover with contour bottom for extra support. Easy installation with optional bottom (Part Number 99214) and rear (Part Number 99212) seat mounts. Sold separately.